All of these images used on the back cover were shot by celebrated English portrait and fashion photographer Norman Parkinson while the Beatles recorded “Hold Me Tight” and “Don’t Bother Me” on the 12th of September 1963. Many of them were compiled into a magazine for the US Beatles fans, which was reissued in a smaller format in the second half of the ’70’s. Eddie from Melvin Records likely assumed that very few Beatles collectors outside of South Carolina owned the early Melvin Records title, as many were reused for their sixth release. Although, would you not anticipate that many in your target group owned the Deccagone 45’s and “it-was-news-seven-years-ago” BBC tracks? How Do You Do It – taken from Joe Pope’s 45 first released in 1976 for the Boston Beatles convention. Although difficult to impossible to do, I love to trace back how a recording may have been ‘leaked’. As stated before on this blog, the theory that this track was played on RKO radio that year or prior and taped is incorrect, as the series in question – From Liverpool To Legend – was only broadcast in 1977. Another theory has John Lennon trade an acetate for (Contraband’s) Sweden 1963 LP. I doubt even John would give away his only hard copy for something even he knew to be a mass produced item but the final word on this is the fact that the source for the bootleg single was clearly not an acetate. Lucille – Eddie & Fred really seem to have taken to the BBC recording of this Little Richard number as this is the third time they have included one of the two available performances on a Melvin album. Glad All Over – continuing with the original ’21’ (MM02) focus on BBC recordings, this track from Pop Go The Beatles # 10 (rec. 16 July ’63) makes its Melvin debut but had been available since TMOQ’s Yellow Matter Custard, which was heavily mined by Melvin. Hello Little Girl – B-side of Deccagone single “Three Cool Cats”, already used on MM04. Nothin’ Shakin (But The Leaves On The Trees) – Recorded for Pop Go The Beatles # 6 on 10 July ’63 and previously out on – you guessed it – Yellow Matter Custard. “The Abduction” – This is the music played over the end credits of their second movie Help!. Although Mozart wrote a piece with that title this is actually the overture form Rossini’s “Barber of Seville” with the Beatles hamming it up vocally but not adding any instruments. Watching Rainbows – the Fab Four as a trio after George had walked out at Twickenham studios. John on electric piano and Paul on lead guitar, trying out a couple of John’s new compositions and this improvisation on 14 January, 1969. Available in poor quality since the summer of 1977 on Dragonfly’s Indian Rope Trick and then the multi-color EP of that same name. Glyn John’s third compilation attempt from May of ’69 created the definite version of the Get Back album and was slated for release no less than three times. It made use of this multi-track reel shown here. Both “I’m ready” and “Save The Last Dance For me” are very short.This third version had the same track listing as the second one but there are a few instances of different dialog and, more importantly, different edits of “Get Back” (now lacking the coda) and “Dig It” (cut by a minute). In addition, the third version was never broadcast on the radio. Now, where this was first released is where it gets complicated. The beatlesource website claims this was in 1974 on TMOQ’s Get Back Sessions and shows the mid-70’s reissue with the S-2xx added annotation on the insert. However, this album was first released in September of 1971 (matrix: BGB 111 A-R1 / BGB 111B-R1). The Beatles, Get Back Sessions, Studio Out-takes. 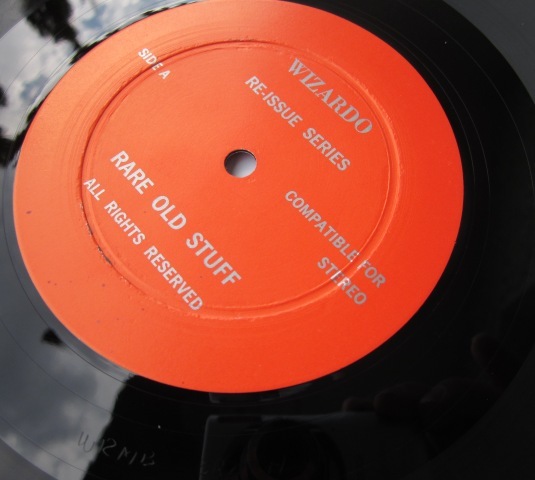 Believed circa 1975 Wizardo double LP set, both LPs on black vinyl. 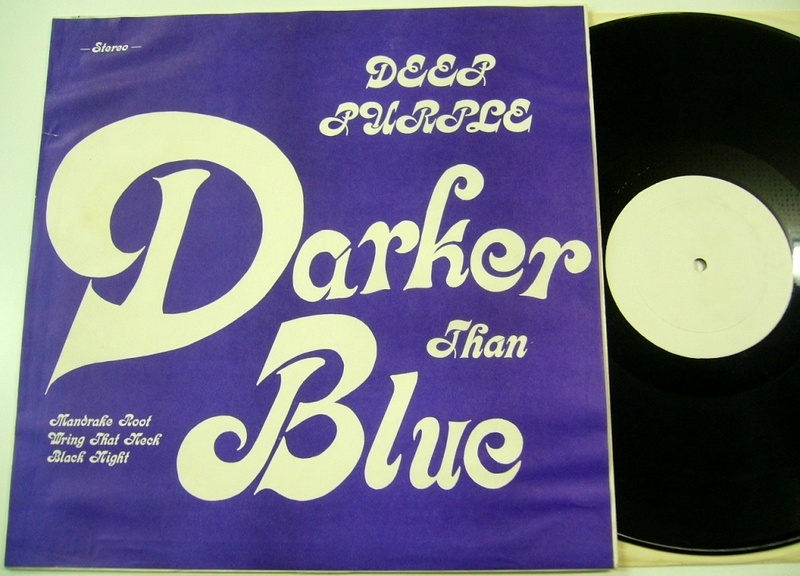 One LP has a red label with deep groove similar to that used on early USA Blue Note and UK Decca pressings. 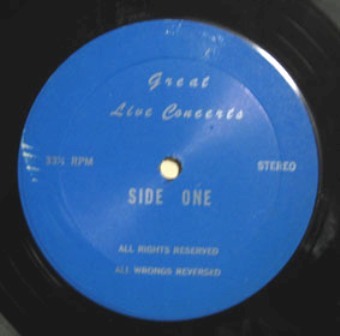 The other LP has a blue label and features a much less indented groove in the same area. Dead wax/run-off markings red label: WRMB 352 A / WRMB 352 B; blue label: WRMB 315 A / WRMB 315 B. These are all etched and not stamped. Apparently, the quality is rather poor. plus also as one LP of the double set Renaissance on Toasted Records (# 2S911). Shake, Rattle And Roll – recorded 26 January ’69, as the band broke up rehearsing “Let it be”over and over and slide into an inspired medley of rock’n roll 50’s & 60’s standards. Part of this was used in the Let It Be film (taken from the Nagra reels) and first appeared on bootleg on Contraband’s Peace Of Mind (CBM 3670) in the late spring of 1973 and in the following year again as part of their first volume of the Cinelogue series (CBM 4020). 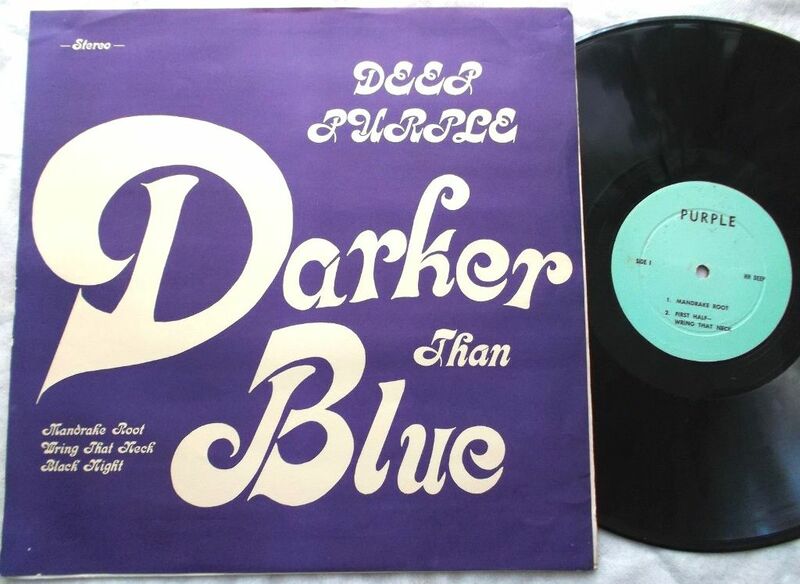 Many of us looking for Beatles bootlegs in the 1980’s also remember this song from the File Under bootleg, which, despite the mediocre sound was a real “greater than the sum of its parts” experience. 51 seconds of the Beatles’ version of “The Walk” ended up being selected for the reference mixes Glyn Johns compiled starting on January 27th with acetates cut on January 30th. Youngblood (Leiber / Stoller, originally recorded by the Coasters in 1957) – MM06 ends with another BBC recording. The Beatles’ only recording from 1st of June 1963 had just made its debut in 1978 on the Audifön bootleg of the same name, unfortunately, incomplete and sounding poor. It probably did not sound any better on Melvin. I must admit, I did not expect the Melvin label to be so tough going but there is a lot to look up for all these different sources! This title may just be the most work intensive one ever or at least in the top 3. On top of that, my ISP cut my line last week – not because I hadn’t paid the bill but because of left hand/right hand, and I only had emergency internet for five solid days. These two images are from my personal collection. The insert was produced in different shades of blue plus at least in tan as well. Definitely a real Wizardo product but also the end of the ‘300’ series. Every release from # 383 to 408 either never happened or was a fake Wizardo. Source: LA/Inglewood Form, 21 June 1976 (not the 23rd as stated in Hot Wacks). 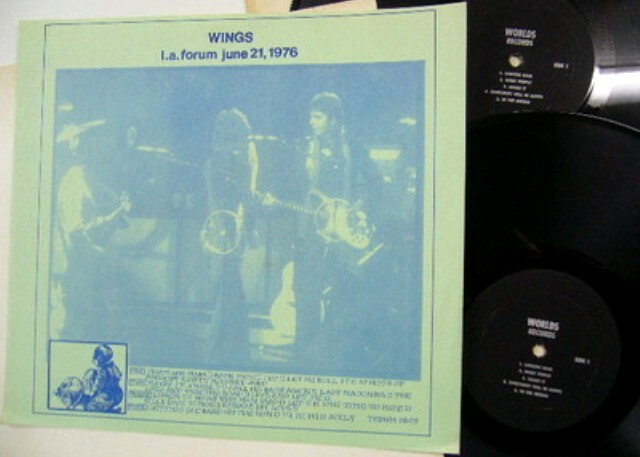 Wings’ first of three nights on their last tour stop on their triumphant 1976 North American Tour. 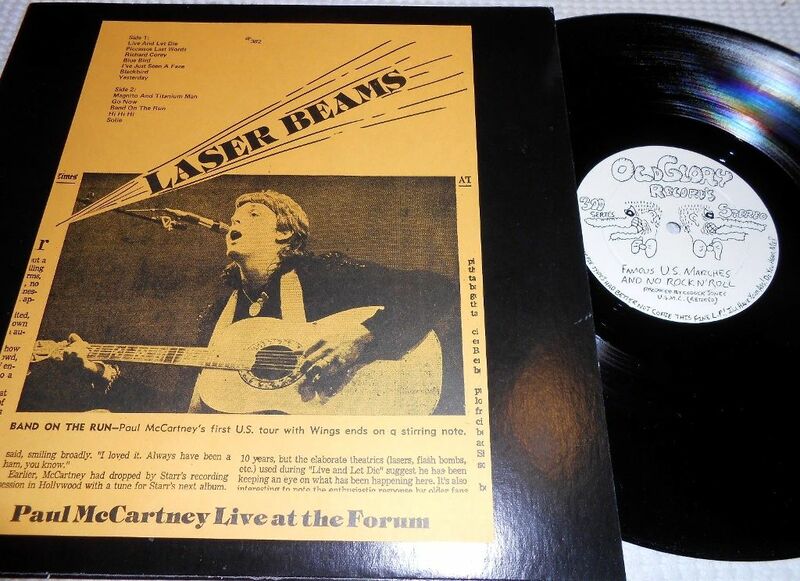 WRMB 383: Paul McCartney ‘US Tour 1976’ – as listed in the back of Hot Wacks, does not seem to exist. Almost all of the rest of the tracks from the first night were released on Ken’s TKRWM label. The two missing tracks are ‘You Gave Me The Answer’ and ‘My Love’. Unfortunately, space was wasted where these songs could have been included by duplicating four tracks found here on Laser Beams (I do understand that Ken & John were probably not holding meetings to coordinate their efforts) but at least the Wizardo LP provides a slight quality upgrade for those shared tracks. All of these tracks are still core as no track from June 21st was selected for inclusion on the official triple live album. 1976 series of repackaged Beatles titles. TAKRL 1986: Number Two – Claims to contain live tracks from Shea Stadium in 1964 [impossible as they only played there in ’65 & ’66], Hollywood Bowl and Washington DC, which looks correct for the last two tracks on side 2. ‘Love me do’ and ‘Please please me’ on side 1 are attributed to the Hollywood Bowl, which is impossible as they were not on the set list anymore after 1963. The Shea tracks are likely from the Vancouver or Philadelphia concert recordings. 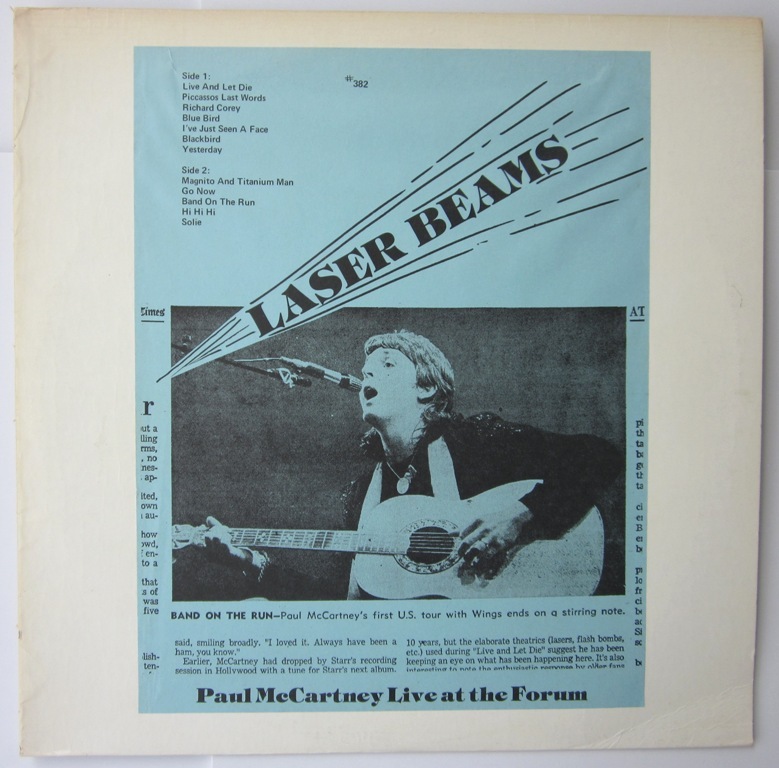 Side 1: Tracks 1 – 7 and last three tracks on side 2 are from Tokyo 1966, falsely advertized as “Their Last One Anywhere” and track 8 from the Hollywood Bowl in 1964. Track 9 is a copy of the officially released song. Side 2: Tracks 1 – 3 are from their BBC radio program “Pop Go The Beatles” for which the Beatles had recorded a new version for each broadcast. The “Candlestick Park, San Francisco 1964” are from who knows where as the Beatles played Candlestick Park in 1966 only, coincidentally that had really been “Their Last One Anywhere” then but none of these three songs were part of the setlist. It’s nice to be able to put the TKRWM label to rest with this post as this last post was a bit of a chore. From what I have gathered so far, Kustom Records seems to have been a US bootleg label, so the above comment is perhaps a little exaggerated. Contraband advertized this as “Live In Chicago” – but that’s OK as some DP websites still list the source as being a Swedish concert. A Vicki Vinyl produced version with a This Little Bird label on one side and an Idle Mind logo label on the other. Found with 70’s style GLC labels. 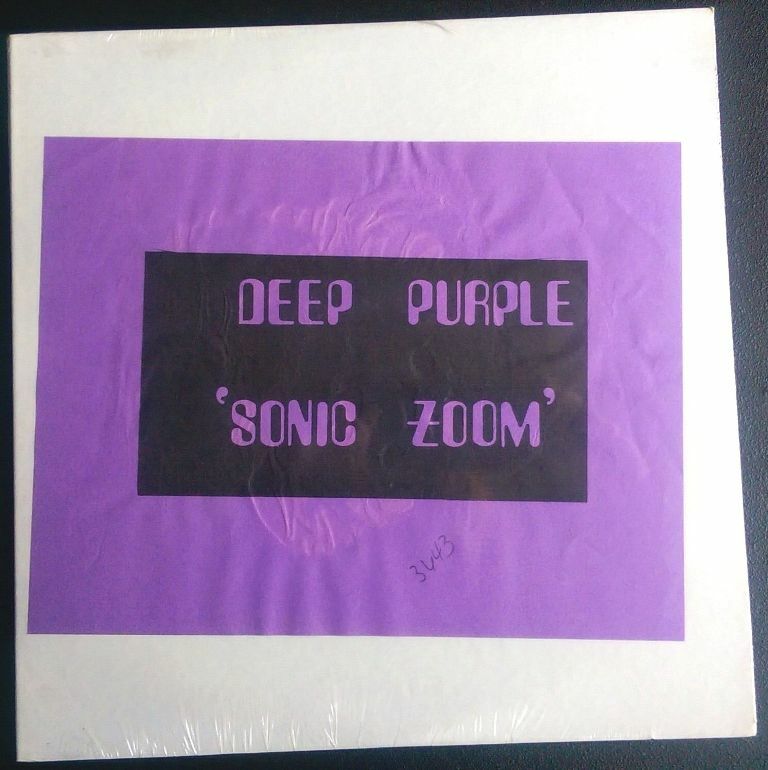 The band officially released this title, mastered from a bootleg source, in 2001 as Space Vol. 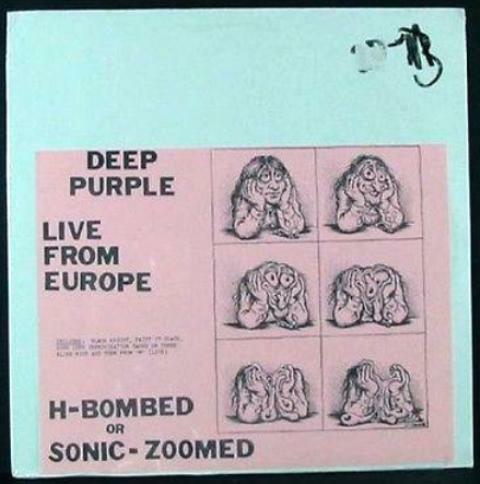 1 & 2 – on the Sonic Zoom label no less, so CBM got a nod as well – and again in 2006 as Live in Aachen with a cover showing all the bootleg LP’s this appeared on earlier. COMMENTS: US BOOTLEG WITH WHITE COVER AND PAPER INSERT. RE-ISSUED IN 1978 WITH A DELUXE BLACK AND WHITE COVER. 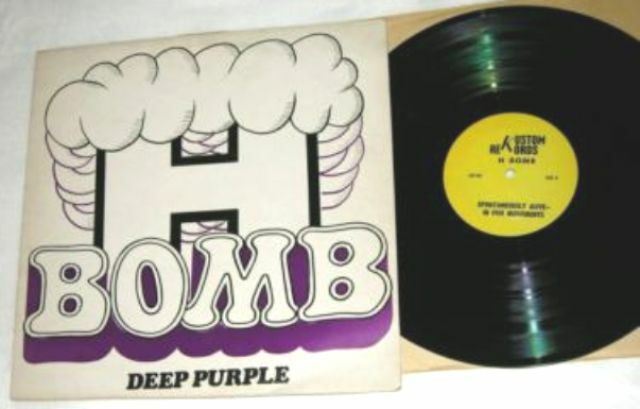 SOME COPIES WERE MIS-PRESSED AND PLAY DEEP PURPLE ON SIDE FOUR. THE MATRIX NUMBER ON THE MIS-PRESSED SIDE IS TKRWM 2821-D. 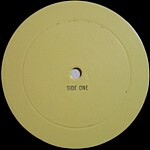 KNOWN LABEL VARIATIONS: TAKRL PLAIN [for the original pressings with insert]- MONIQUE D’OZO – BLANK RECORDS. While Pink Floyd took an enormous step between Atom Heart Mother and Meddle, it was the older material that were the basis of their live show during 1971. In June they played dates around Europe and most of the shows include their newest epic “Return Of The Sons Of Nothing.” On June 26th they played the Free Concert festival in Amsterdam. Almost a year to the day since their last festival appearance in the Netherlands (the famous Stamping Ground show in Rotterdam), they played a shorter set devoid of any new material. The “newest” song performed is “Cymbaline” recorded in 1969. Three tapes exist for this show. The first to surface is very good to excellent but is cut between the songs. It was used to source several vinyl releases including Early Tours ’70-’71 (Space Records FET 771 A/B), Barrett’s Revenge (TKRWM 2820-A/D), Amsterdam ’71, Sysyphus (S-1001) with “Careful With That Axe, Eugene” from this show, and Pink Floyd (Angry Taxman Records ATR 003-S1001). Pink Floyd headlined this event. The tape begins with the words of the mc welcoming them to the stage saying: “with enormous difficulty but with great joy we bring you the Pink Floyd.” It is a hurried yet extremely intense performance. (After the performance the mc mentioned Floyd having to catch a plane). Even though they play neither of their two epics “Atom Heart Mother” or “Echoes,” the numbers included are improvised greatly and have interesting performances. “Careful With That Axe, Eugene” is very quiet and mellow until the scream. Waters is loud enough to cause distortion in the sound system as the noise shakes the stage. “Cymbaline” retains its melodic beauty. The middle tape section entertains the audience, not with footsteps and a slammed door, but with the sound of a woman in orgiastic passion (to the surprise and amusement of the audience). After a twelve minute version of “Set The Controls For The Heart Of The Sun” there is a five minute long delay as they fix the equipment. The set closes with a lengthy version of “The Embryo.” It is a rare instance where this song closes a show. By this time in the song’s performance history Gilmour would play the seabirds from “Echoes” in the middle. Also in this performance Waters duplicates the Scottish rant from “Several Species of Small Furry Animals Gathered Together in a Cave and Grooving With a Pict” from Ummagumma. 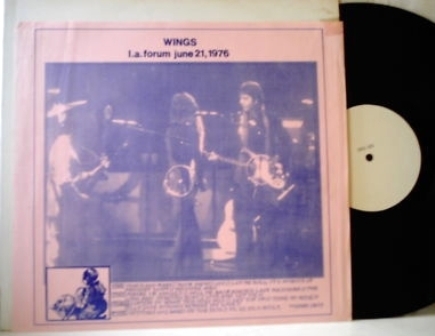 Live in New York, 1972 and Stalk-Forrest Group Promo Single. Read below why ‘Buck’s Boogie’ was not included on the broadcast and why it can be found on the bootlegs anyway. French bootleg from 1975/6 referred to as The Soft White Underbelly and the “inspiration” for the IMP EP and the TKRWM album a year later. With that font on the cover, no wonder the copy came out on “Reichstag Records” (see disc image below). 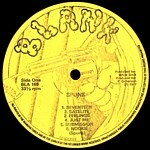 “In 1972/3 as a pre-release to Tyranny & Mutation Columbia issued this 4 Track 12” single/EP called the BOC Bootleg EP. It did contain: Side One: The Red & The Black, and Buck’s Boogie. Side Two was: Workshop Of The Telescopes, and Cities On Flame With Rock & Roll. 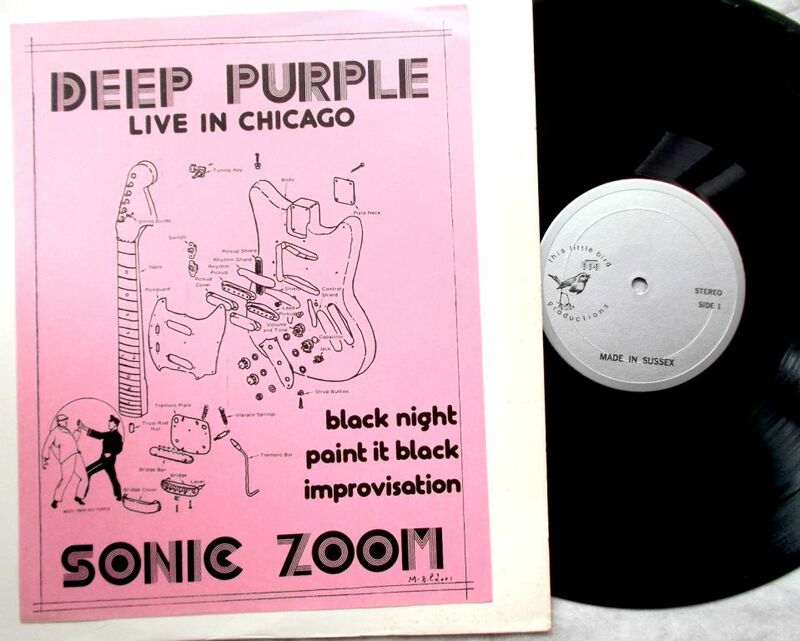 It was a 4 Track Live recording from a Radio Station (WCMF-FM) broadcast in an edited format a week after the day of the recording 72-04-03, from The Nugget’s Pizza Parlour in Rochester, New York. 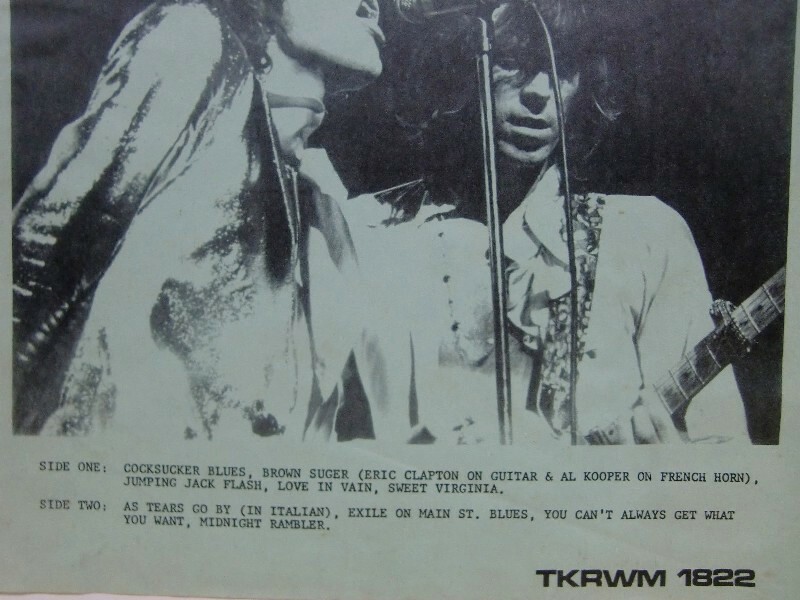 The Full Broadcast was 36 minutes long and actually didn’t include Buck’s Boogie as that song lacked Publishing copyrights security at the time of the broadcast. The Radio Show did have the following setlist though: The Red & The Black, Stairway To The Stars, Transmaniacon MC, Then Came the Last Days Of May, Before the Kiss, A Redcap (Strange attempt at a re-arrangement), Workshop Of the telescopes, Cities On Flame With Rock & Roll, and Born To Be Wild. Backline Power fuse blew just as they started that last song, but the power came back and the band went through the song and then some….. The Vinyl History of “The Bootleg EP” COLUMBIA AS-40 is as such… the 12″ was only released to radio Station as a White label promo EP. 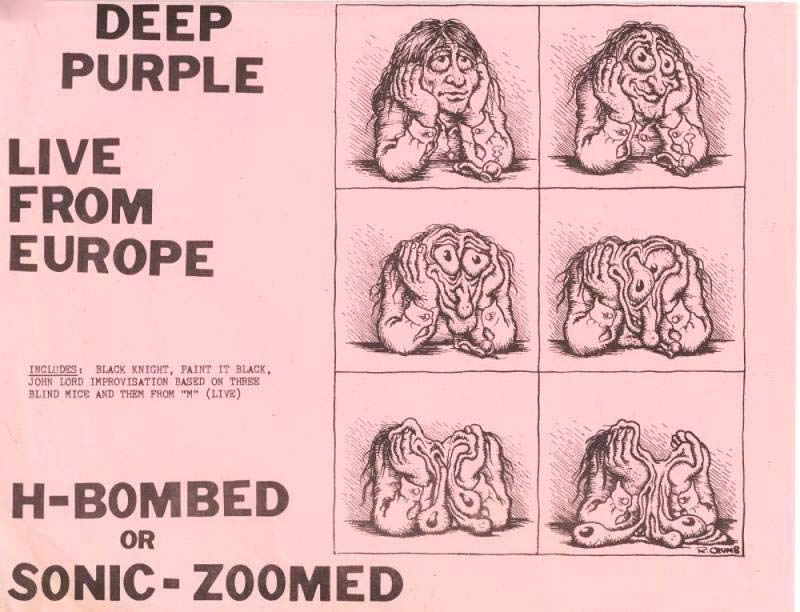 Then it was Bootlegged in 1976 by Vicky Vinyl company Idle Mind Productions as IMP-1106 and presented as “In My Mouth Or On The Ground” in a 10″ format on Blue Vinyl and Black Vinyl on re-issues. Two different covers were issued for this release, One artwork the other a Photograph from the Famous Publicity shoot in 1971 at “Needles Park” in New York. This all due to the fact that the labels on the Vinyl read Soft White Underbelly… this was issued in 1976. In 1978 TKRWM released “Fantasy Distillation….” which had a rubber stamp with the erroneous info of “Live In Montreal” on the cover sheet. and included a poorly centered SFG single on that 12″ vinyl and more people got this rare collectible than ever before…. Now, that’s a nice label.